Clytemnestra was a famous queen in Greek mythology, for Clytemnestra was the wife of Agamemnon, king of Mycenae, and mother of Orestes, Electra and Iphigenia. Clytemnestra though, was also a murderer, an adulteress and a victim. Clytemnestra was born in Sparta, for she was one of the four famous children of Leda, Queen of Sparta. Leda’s husband was Tyndareus, but on the same day that Leda slept with her husband, Zeus also laid with her, in the form of a swan. As a result two immortal children were born to Zeus and Leda, Helen and Pollox, whilst two immortal children, Castor and Clytemnestra. The common tale, tells of the arrival of the exiled Agamemnon and Menelaus arriving in Sparta, from Mycenae, and finding sanctuary in the court of King Tyndareus. ​Indeed, Tyndareus was supposedly so taken with Agamemnon that he married the son of Atreus to his daughter Clytemnestra. An alternate, and less often told, version of the Clytemnestra myth had the daughter of Tyndareus already married before meeting Agamemnon. In this case, Clytemnestra was married to a man called Tantalus, son of Broteas, and therefore grandson of the more famous Tantalus; and Clytemnestra had born her husband a son. 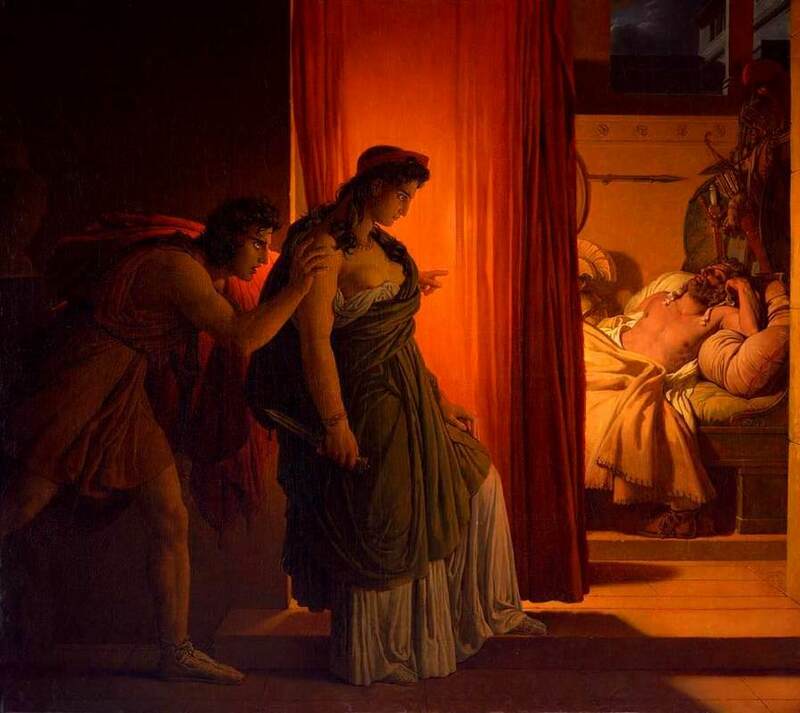 Agamemnon decided that he wanted Clytemnestra to be his wife, and so he killed Tantalus and Clytemnestra’s son. 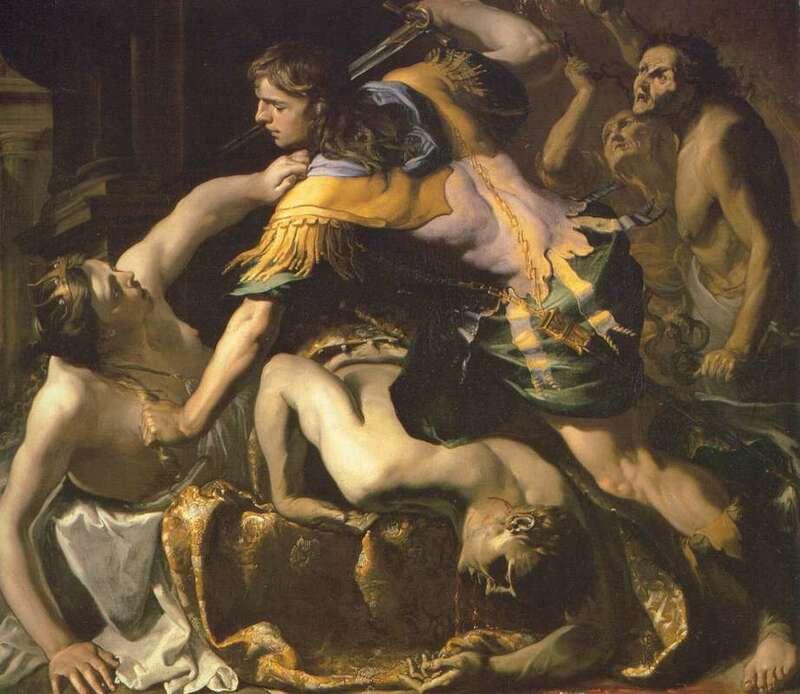 Tyndareus would have killed the murderer of his son-in-law and grandson, but when the king of Sparta came upon Agamemnon, Agamemnon was on his knees praying to the gods, and taken by the piety, Tyndareus decided not to kill Agamemnon, and instead Agamemnon and Clytemnestra were wed.
By marrying Agamemnon, Clytemnestra would become Queen of Mycenae, for Tyndareus and his Spartan army aided Agamemnon and Menelaus in forcing Thyestes off of the throne of Mycenae, in whose place Agamemnon became king. Menelaus would of course become king of Sparta, when he married Helen, and Tyndareus abdicated in his favour. Mycenae prospered under Agamemnon, and Clytemnestra would bear the king four children, a son, Orestes, two daughters, Electra and Chrysothemis, and a favoured daughter of Clytemnestra, Iphigenia. Good times in Mycenae would come to an end, when the Trojan prince Paris abducted Helen, the wife of Menelaus. Menelaus would invoke the Oath of Tyndareus to bring together an army to bring back Helen from Troy. Agamemnon was not bound by the Oath of Tyndareus, for he had not been a Suitor of Helen, but he did of course have a family loyalty to aide his brother; and so Agamemnon left Mycenae, leaving behind Clytemnestra and his family, and along with the Achaean leaders arrived at Aulis. Agamemnon was the most powerful king of the day, and so he was made overall commander of the Achaean forces, but soon he was faced with his first command decision, for although a 1000 ships had gathered at Aulis, ill winds were keeping the ships in port. Agamemnon would consult the seer Calchas, who gave the unpalatable news that favourable winds would only arrive if Iphigenia, the daughter of Clytemnestra and Agamemnon was sacrificed. Writers in antiquity give different perspectives on whether Agamemnon agreed willingly with the notion of sacrificing his daughter, for he was commander of the army, or whether he was forced to do so by the other Achaean leaders, particularly Menelaus, or whether in fact, madness momentarily overtook the Mycenaean king. 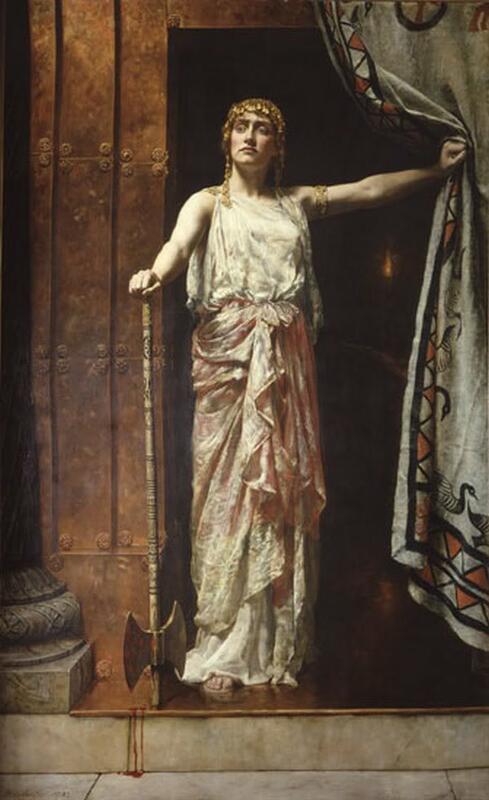 In Aulis, some tell that Agamemnon told Clytemnestra what was to happen, in which case Clytemnestra pleaded with her husband for the life of her favoured daughter, or else Iphigenia was sacrificed before Clytemnestra found out about the plans of her husband. In any case the sacrifice of Iphigenia worked, for favourable winds arose, and Agamemnon left for Troy, whilst Clytemnestra had to return to Mycenae, knowing that her husband had killed Iphigenia. The son of Clytemnestra, Orestes, had to be smuggled out of the country, to avoid possible trouble with Aegisthus, although Electra and Chrysothemis would remain in Mycenae. Clytemnestra would give birth to a further two children, by Aegisthus, Aletes and Erigone. Clytemnestra and Aegisthus would plot together about what to do when Agamemnon returned, if he returned, for Aegisthus wanted the throne of Mycenae, whilst Clytemnestra wanted vengeance upon the man who had killed her daughter, and possibly her first husband and son. Eventually the day arrived when Agamemnon returned from Troy, and despite the pleadings of his new concubine Cassandra, the king of Mycenae walked into his palace. Some tell of the murder of Agamemnon at the hands of Clytemnestra whilst the king was in a bath, with Clytemnestra entangling him in a net, before stabbing him. Some tell of the killing blows being inflicted by Aegisthus, and some say that it was a combination of Clytemnestra and Aegisthus who committed regicide. The daughter of Clytemnestra and Agamemnon, Electra, was said to have cursed her mother for taking a lover and killing her father. Clytemnestra would remain as Queen of Mycenae, for upon the death of Agamemnon, Aegisthus claimed the throne for himself, and made Clytemnestra his official wife. Aegisthus would remain as king for just seven years, for by that time Orestes was of age, and the son of Agamemnon and Clytemnestra returned to Mycenae to seek revenge upon the killers of his father. Aegisthus was thus killed by Orestes, as was his half-brother, Aletes, but it was also said that Orestes committed a great wrong when he killed his mother despite her pleadings and prayers. 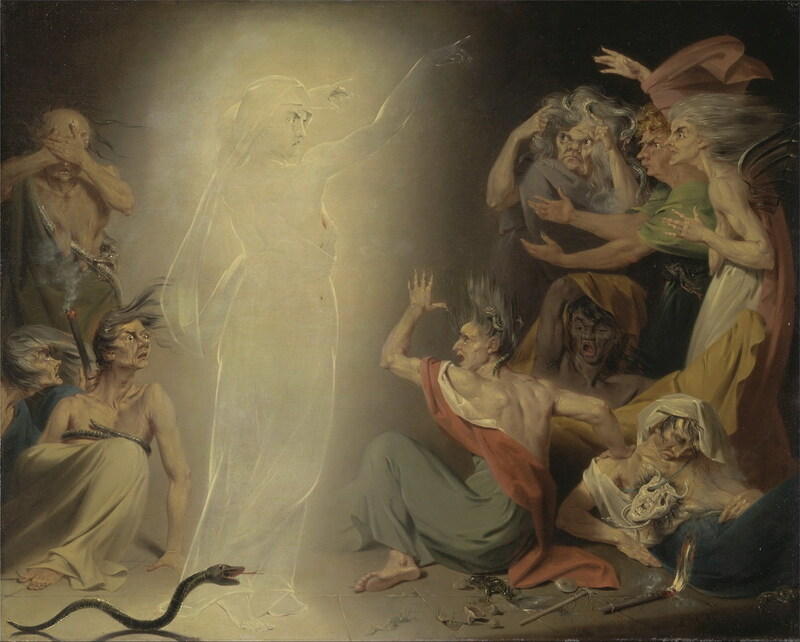 The killing of Clytemnestra would bring forth the wrath of the Erinyes upon Orestes, and indeed it was said that the very ghost of Clytemnestra cajoled the Erinyes in their persecution of her son. Eventually, Orestes was released from the hounding of the Erinyes when he was cleared of murder by Athena, and Orestes would subsequently marry his half-sister by Clytemnestra, Erigone.